You want your website to rank well in search engines. You want to attract highly targeted visitors. To do those things, you have to build links to your site. 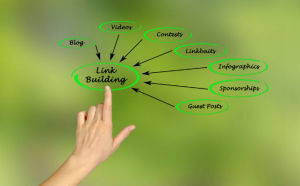 Links are what connect websites and audiences around the web. And they act like “votes” when people choose to link to one website over another. How do you build links quickly so you can see these benefits? Can you simply buy them? And what role do paid web directories have in this process? Is submitting your website to them the same thing as buying a link on another website? Technically, yes. You can buy paid links. But should you? Usually not. Google dislikes any links designed to manipulate their search engine rankings. And paid links are often purchased for this very reason. Some sites will post links to anything as long as they’re paid to do it. There’s no value to their visitors. It influences Google’s rankings in an unnatural way. And it lends a false sense of authority, especially if those paid links aren’t properly disclosed. That’s why paid links are often a bad idea. They can get your website penalized by Google. But there are always exceptions. For example, you might choose to buy a text link or linked banner ad on a highly relevant site in your niche or industry. That’s completely legitimate advertising. And you can get around paid link penalties by making sure your paid links all use the “nofollow” attribute. Aren’t Paid Directory Submissions the Same Thing? If buying links outright can be a bad thing, is it ever a good idea to submit your site to paid directories? Wouldn’t it be the same thing? Some premium directories are nothing more than link farms filled with paid links. These are directories that will publish a link to any website, sometimes automatically, as long as they’re paid. On the other hand, there are also quality premium web directories where submissions are not the same as paid links. These are directories that have been around for a while. They’re human-edited, meaning every site submitted is reviewed by an editor before being added. They have a history of turning submissions down rather than accepting everything. They usually add high quality resources on their own in addition to submissions. They generally don’t give you full control over your submission. For example, if you submit a spammy, keyword-stuffed site description, they’ll edit it to make it more appropriate and valuable to visitors. In other words, you aren’t actually paying for a link. You’re paying for the time it takes the directory’s editors to review your site, make a determination, and potentially edit the information you submitted. Google’s Matt Cutts has spoken about paid web directories and their similarities and differences to paid links numerous times. Check out one example in the video below, where Cutts emphasizes the importance of editorial discretion in paid web directories vs “fly by night” directories. Why Submit Your Website to High Quality Web Directories? When it comes to submitting your site to paid web directories, the trick is doing your research. See how long they’ve been around. Find out if they employ editors or not. Find out if they accept every link submitted or if there’s a genuine chance that your site could be rejected based on quality standards. If your site is brand new, directories can give you initial links that help you get your website indexed. If your submission is approved, you’ll get a highly targeted backlink from the directory’s most relevant category page. While good for SEO, what’s more important is that you have the potential to reach equally-targeted visitors, driving them to your site. If the directory adds other well-respected sites in your niche or industry, rather than relying solely on submissions, your site can see a credibility boost by being approved and listed alongside them. If you’d like to see an example of a longstanding, respected premium web directory visit our sister site, Alive Directory, and consider submitting your website today. WebDirectoryList.com → DirectoriesPaid Web Directories vs Paid Links: Are They the Same Thing?